Need a replacement, but don't want to pay for a name? 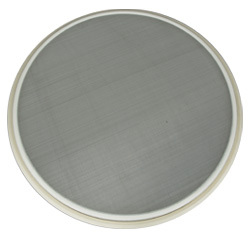 Custom Advanced Connections, Inc. offers a full line of quality replacement circular screens, parts and accessories to handle your circular vibratory separator requirements. Whether you’re looking for a single part or an entire screening unit we are here to assist you with your needs. Above is a just a sampling of the parts we carry. If you don't see the part you are looking for below, feel free to contact us and we'll be happy to help you find exactly what you need.